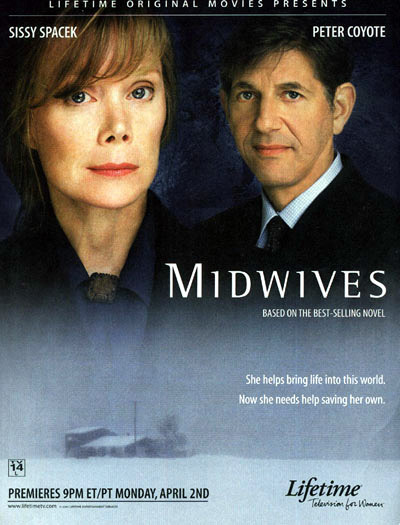 (2001) In rural Vermont, midwife Sibyl Danforth (Spacek) is busier than she has ever been in her career. But on a stormy night in March, the worst happens when a patient goes into labor and begins to experience difficulty. The drama unfolds in a series of flashbacks with narration by Sibyl's teenage daughter, Connie (Pill). During a home birth, freezing rain turns to ice, knocking out phone lines and blocking all roads. Sibyl soon realizes that she is on her own as she helps a mother fight for her life. In the end, however, the mother's struggle is lost and Sibyl is forced to act quickly to cheat death of at least one of its victims. Using a kitchen knife, she performs an emergency caesarian section and saves the baby. As she wrestles with the tradedy, her worries are compounded by the news that the authorities have brought a charge of manslaughter against her. Though she has devoted her career to helping others create life, Sibyl faces a legal battle for her own life with the help of her attorney Stephen Hastings (Coyote), a cool, pulled-together man who taps into his softer, sweeter side as he defends Sibyl. 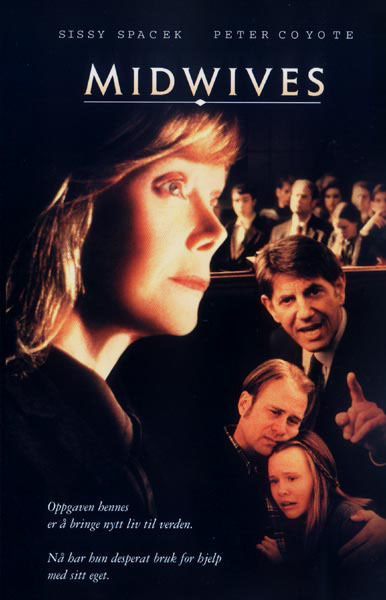 The trial divides the community and forces Sibyl to question her own belief of what really happened that night. Did Sibyl kill her patient or was she simply saving a baby's life? "Ms. Spacek is, of course, an outstanding actress. In the childbirth scenes she conveys absolutely convincing reassurance to the terrified Charlotte, but at the same time the audience can see Sybil's controlled fear. Midwives, a good movie about injustice and the depth and irrevocability of tragedy, has more than one great performance, though: it has synergy. Mr. Coyote is impressive as the upscale lawyer who combines solicitousness, professionalism, flirtation and a barely detectable aloofness." "A terrific adaptation of Oprah's Book Club novel by Chris Bohjalian. Masterly direction by veteran Glenn Jordan adds the polish that keeps a potentially melodramatic tale from going over the edge. In the end, this is a movie that actually improves on a fine book." 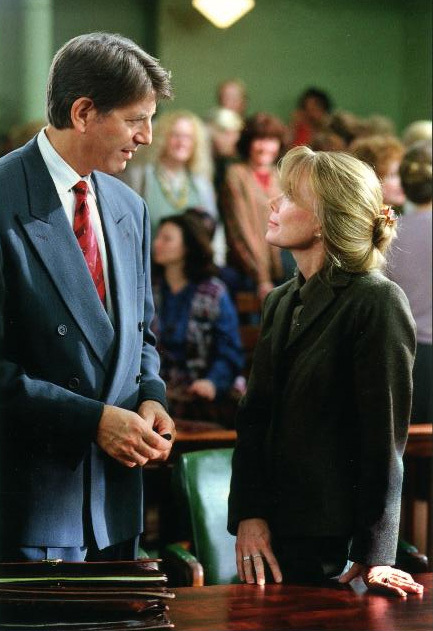 "A strong cast that includes the Oscar-winning Spacek... Peter Coyote is solid as usual, as Danforth's lawyer... A powerful story, well-acted and well-written, that touches on a number of ethical questions." "An emotionally grueling adaptation of the best-selling novel. 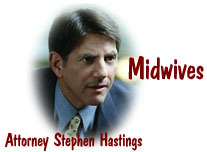 A-"
"Midwives hardly sounds like the title of a tense story tracing the thin line between life and death, but that's precisely what Lifetime offers in its 100th original movie, an arresting drama about split-second decisions and tragic consequences... Spacek gets stellar support from veterans Terry Kinney and Peter Coyote as well as Alison Pill." "There are two things that interest me about projects, either the script or the money. This wasn't about the money. The ambiguity of the script appealed to me. It deals with a complicated moral situation. It's similar to someone being trapped in a building, about to be burned alive, and you dive in and pull them out. Later, someone tells you that you severed their spinal cord. Did you do the right thing?" 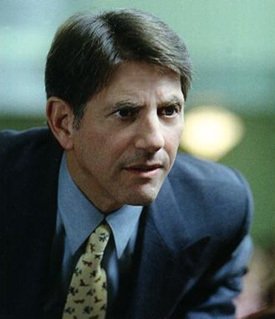 This film was Lifetime's 100th Original Movie and had the highest rating in the network's history. Sissy Spacek & Piper Laurie previously teamed up for the cult film, Carrie. 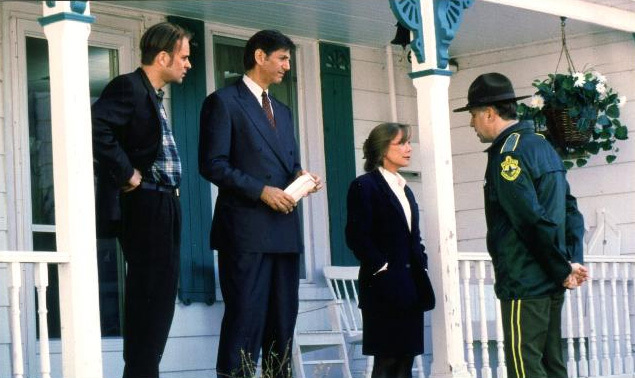 The film was nominated for a Golden Satellite Award for Best Motion Picture Made for Television with a nomination also going to Sissy Spacek for Best Performance by an Actress in a Miniseries or a Motion Picture Made for Television. 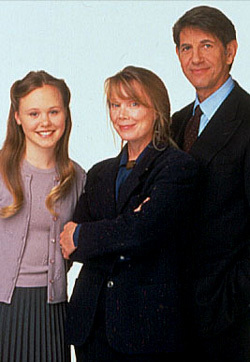 Sissy Spacek was also nominated for a SAG award for Outstanding Performance by a Female Actor in a Television Movie or Miniseries.